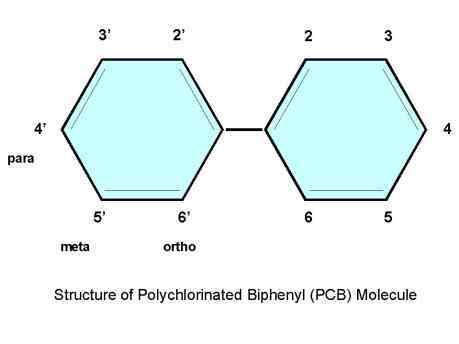 PCBs or polychlorinated biphenyls are a group of chemicals consisting of 209 individual compounds. PCBs were widely used as a fire preventive and insulator in the manufacture of transformers and capacitors because of their ability to withstand exceptionally high temperatures. PCBs were banned by the EPA in 1979, and are classified as a probable human carcinogen by numerous national and international health-protective organizations, such as the EPA, The Agency for Toxic Substances and Disease Registry (an arm of the U.S Public Health Service) and the World Health Organization. Research also links PCB exposure to developmental problems. PCBs build up (bioaccumulate) in the environment, increasing in concentration as you move up the food chain. This is of special concern in areas where fish are exposed to PCB contamination and may be consumed by humans (as in the Hudson River). At the Hudson River PCBs site, the best way humans can reduce their risk of exposure to PCBs is by following the NYSDOH health advisories for consumption of fish from the river. More information can be found on health advisories by clicking the button below. There are 209 varieties of PCBs, known individually as congeners. A congener may have between 1 and 10 chlorine atoms, which may be located at various positions on the PCB molecule (see illustration, below). It is through use of congener specific analysis, that we can "fingerprint" PCBs. This analysis allows us to see distinct PCB patterns or signatures in the environment which can identify PCB source material and the likely source area as well as the degree and type of subsequent alteration, which may occur over time. Use of PCB "fingerprinting" in EPA's Hudson River PCBs Reassessment allowed us to see that PCBs from the historic sediments of the Thompson Island Pool can be traced in the water of the Hudson River all the way to Kingston, New York, a distance of 100 river miles. PCBs may undergo dechlorination, which is the process of removing chlorine atoms from a PCB molecule while leaving the main molecular structure intact. In the Hudson, this only affects the outer chlorine atoms. In most instances dechlorination of a PCB molecule simply yields a different PCB molecule. EPA Reassessment studies have confirmed that while dechlorination is taking place in the upper Hudson River, it is merely changing one PCB into another, so the river is not "cleaning itself."